The Jackson professionals of 911 Restoration Central Mississippi provides around the clock protection against water damage from floods. They are available 24/7/365 and will respond to any disaster in 45 minutes or less. They have years of experience with water damage restoration working on countless properties. 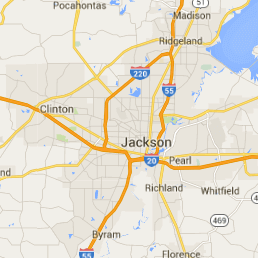 As a result, you can be rest assured that our Jackson team will get the job done right. Water damage can crop up at the most unexpected times, but our water damage Jackson team has all the tools and resources necessary to take on even the most advanced floods, leaks and pipe bursts. The water damage Jackson technicians know that the best way to mitigate the losses that may come from a water disaster is to get started on the repair work immediately. This is why our water damage Jackson specialists will always arrive within 45 minutes of receiving your emergency call, because we care about providing you with the best customer service during these situations. We are IICRC-certified, so call us for assistance when your home has been invaded by water by contacting our water damage Jackson professionals today! Our entire water damage team is certified by the international non-profit known as the Institute of Inspection, Cleaning and Restoration Certification. 911 Restoration prides itself on being able to restore your home in the event of the numerous types of damage that you can experience. We know how to utilize an array of techniques to perform a water restoration job that prevents mold, and other bothersome effects to occur. To elaborate, we use wet vacuums to remove water from crawlspaces, basements, and wherever it may pool to ensure faster dry times. Moreover, we use dehumidifiers and blowers to allow air to circulate out, which aids a great deal in trying to curb the amount of mold that can grow. Furthermore, it is also important to clear out the dark corners of the home, as to prevent structural damage as well. Winter has arrived, which means disasters are more likely to occur in your property. Dropping temperatures can potentially cause frozen pipes in your plumbing. These elements slow the flow of water down which may eventually lead to pipe bursts. This will start a chain of water damage disasters as it will lead to flooded basements or a house flood in general. 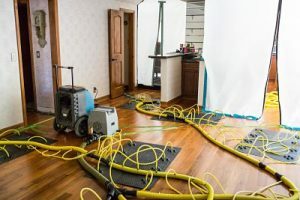 If the situation isn’t taken care of promptly, the water damage will lead to mold growth, which brings additional health hazards to your property. One preventative measure we give our customers to stay safe is to keep your home or business heated during the winter months to avoid potential frozen pipes and pipe bursts. However, if you’re in need of immediate help, call our water damage restoration Jackson techs today. Raw sewage is considered a Category 3 hazard as it comes with a slew of health hazards due in part to the amount of microbes it fosters. This type of restoration is something we definitely do, and it is the one that requires the freshest of starts. It can leave behind stains and odors if not remediated correctly. Most of the time; however, the result is that there needs to be a complete replacement done. Although sanitation and removal needs to be performed, do not trust someone who boasts that they can completely restore your living space. Somethings just can’t be vacuumed out. You deserve a restoration company that you can trust with their assessment. 911 Restoration Central Mississippi is capable of sanitizing your space, so that it is pristine. You deserve to live in your home with as much confidence as possible, so call our sewage backup cleanup Jackson pros today. Fire and smoke damage restoration is done by utilizing a blend of styles that range from water remediation to deodorization. Ash and soot are carried throughout the air by smoke, and it will cover places in your home that were not touched by fire. Sometimes your property might be damaged by secondary effects from a fire in your neighborhood. Debris, ash and soot are all elements created by fire that can cause smoke damage to your property. If soot is left to fester, its acidic nature will eat away at whatever it rests upon. Additionally, that particular smoke may find its way to inside your vents, damaging your property and eventually being absorbed by your lungs. The remediation efforts we undergo aims to stop further deterioration of your property, and to make sure we restore your house or business into a healthy, livable environment. Call our fire damage restoration Jackson pros today for immediate assistance. The most common effects of most of these disasters is that they involve a lot of moisture. One consequence of moisture is that it cultivates mold to start growing. Once it does grow, it causes discoloration, headaches, awful smells, and structural damage. 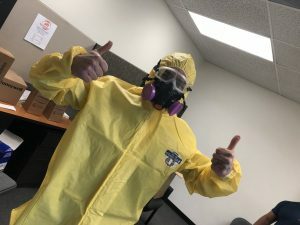 Our decontamination process involves precision techniques to keep it from spreading. First we line the area with antibacterial plastic, which will keep the spores contained. Then we start to filter the air with a combo of HEPA filters and HVAC systems. This cleans the air and removes any standing spores in the air. Finally, we remediate the underlying causes of the mold infestation. This includes drying existing moisture and patching up any pipe or roof leak that allowed moisture to exist. So, call our mold removal Jackson technicians today. When it comes to taking care of the effects produced by a disaster of any sort, the professionals with 911 Restoration Central Mississippi are here to help at all hours of the day and night for any kind of trouble that befalls your business or home. Taking on the challenges presented by a hurricane, flooding event, or even a severe storm, the professionals from Jackson have the know-how and skills to handle any disaster that affects your home or business location. If your home is dealing with the aftereffects of high wind or any other form of disaster situation, then don’t hesitate to contact the disaster restoration Jackson experts with 911 Restoration Central Mississippi. We’ll take care of your property so that it can go back to taking care of you.